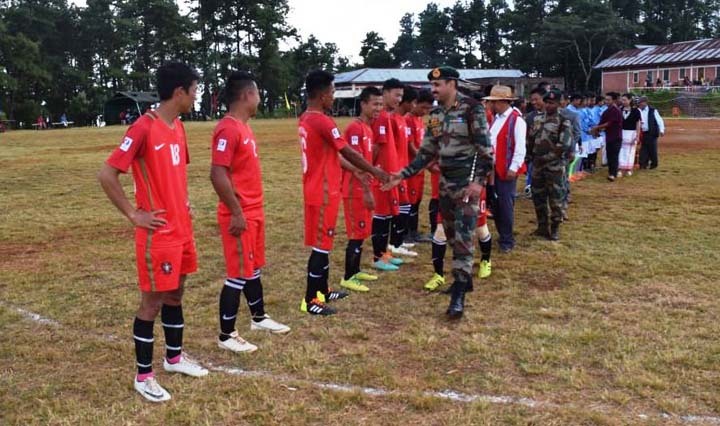 The First Kamjong Federation Cup, organised by the Chassad Battalion of 10 Sector, Assam Rifles, has been underway at Kamjong district in Manipur. The aim of organising the week-long sports event is to nurture budding talents at the grassroots level and usher in new opportunities for the village youths. The Assam Rifles also stated on its Twitter handle on Wednesday stated that Kamjong Federation Cup has been organised to encouraging sporting talent under national initiative of the Khelo India Mission. According to media reports, the tournament will witness over 45 teams vying for top honours in football and volleyball tournaments being held for both men and women. During the inaugural ceremony the rolling trophies for each event were unveiled.